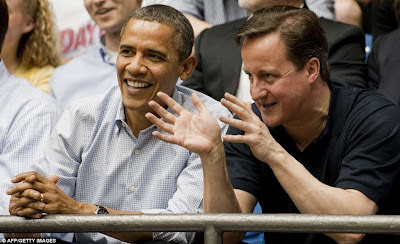 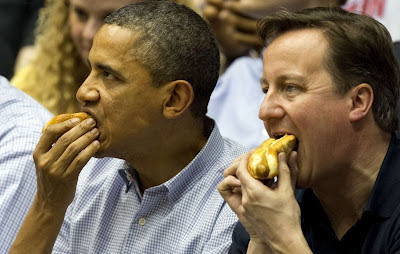 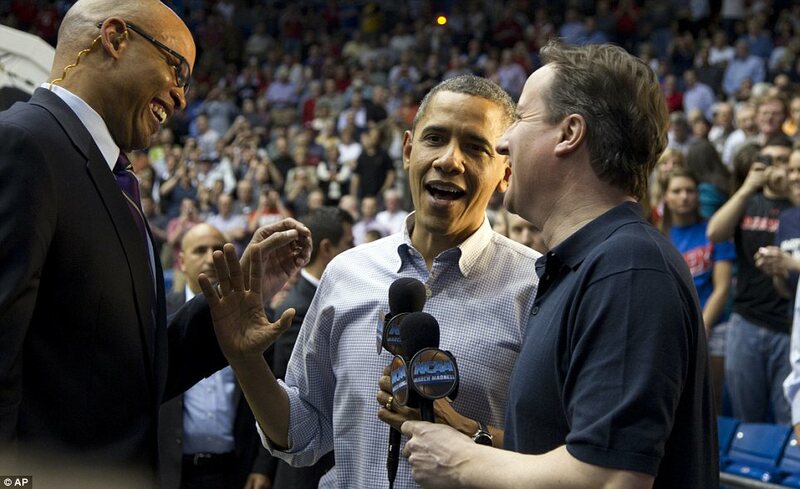 The two world leaders were seen courtside, at a college basketball game in Ohio, and Mr Obama's hand gestures (along with Cameron's puzzled expressions) seemed to give an impression that there was a slight cultural clash.And perhaps this has something to do with the fact that Mr Cameron's Eton education may have been more about cricket and rugby than the world famous American game. 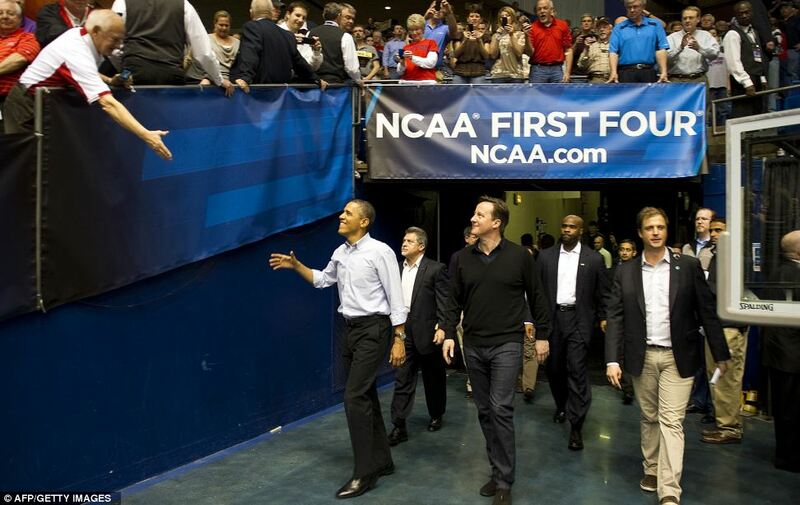 President Barack Obama seemed to be having trouble explaining the rules of basketball to Prime Minister, David Cameron, on the first day of the Conservative leader's tour of the U.S.
Mr Obama, a self-confessed basketball fan, invited Mr Cameron to watch Western Kentucky University take on Mississippi Valley State in the opening game of the National Collegiate Athletic Association (NCAA) Men's Basketball tournament known as March Madness. 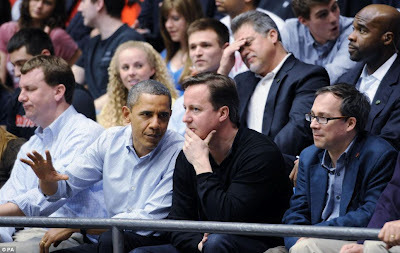 The two leaders were applauded loudly as they took their seats in the front row of the stands, just behind one of the hoops and they turned to chat to Dayton University students in the seats around them.